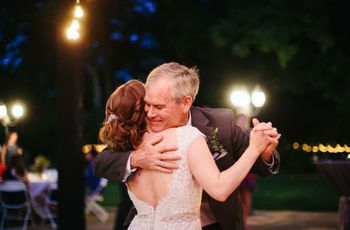 From timeless ballads and melodies to lyrics about finding your one true love, Disney first dance songs evoke an enchanting feel for any type of wedding reception. 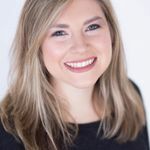 Walt Disney movies, like Beauty and the Beast or Snow White and the Seven Dwarfs to name a few, are filled with romantic songs that are not only easy to dance to, but remind us that great love stories do exist. 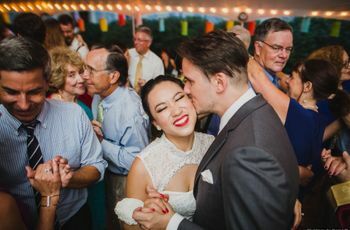 So, if you want everyone to know that you’ve found your happy ending, opt for one of these Disney classics to dance to during your first dance. 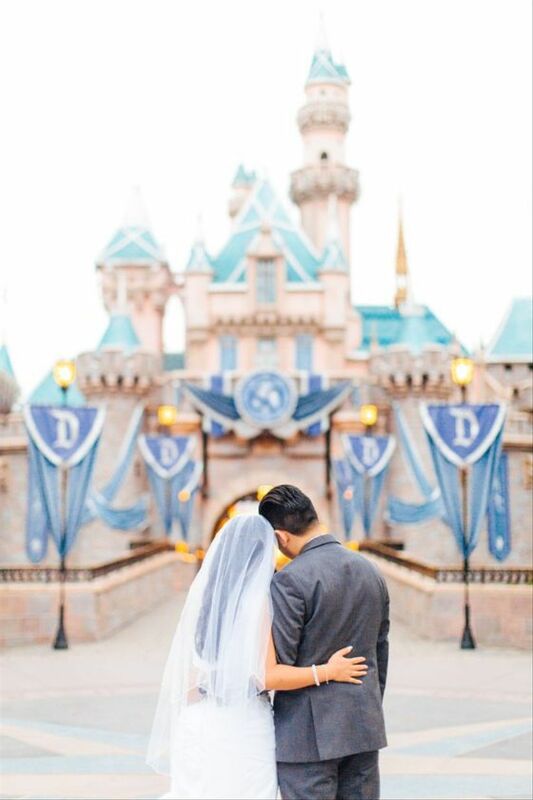 These Disney first dance song are perfect if you want a magical moment on the dance floor. Newlyweds will love twirling around the dance floor — Belle style — to this classic Disney first dance song. “Beauty and The Beast” is a love ballad that’s filled with sweet lyrics about falling in love. Whether you opt for the Celine Dion version or the recent cover by John Legend and Ariana Grande, it will be hard not to get teary eyed while dancing to this timeless tune. While your first dance might not be as dazzling as magic a carpet ride, dancing to “A Whole New World” is definitely second best. 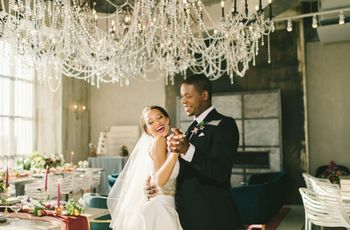 The memorable scene of Jasmine and Aladdin singing this beautiful Disney song as they soar throughout the sky is sure to turn your first dance into a truly magical moment. This is an iconic love song from The Lion King and is perfect for Disney-obsessed couples. It’s played when Simba and Nala realize that they are more than just friends and it definitely makes our hearts melt. Composed by the great Elton John, the soft rock song is also piano-driven, making it one of our favorites. Little Mermaid fans will definitely love this Disney first dance song. The tropical-inspired song, sung while Sebastian the crab is trying to get Ariel to kiss Prince Eric, is a great choice for those hoping to find an upbeat melody for their first dance. The best part? You can easily sneak in a few kisses throughout your dance if you pick this sweet tune. For couples who truly want their first dance to be fairytale-inspired, we think they should opt for this Disney first dance song. Played when Snow White is dreaming about finding her Prince charming, we think brides will definitely have a princess moment while dancing to this beautiful melody. Whether you’ve found your Jane or you’ve found your Tarzan, this Phil Collins track from Tarzan is a crowd pleaser. With lyrics such as, “You’ll be in my heart” / I believe, you’ll be in my heart / I’ll be there from this day on / Now and forever more,” this song will let everyone know how much you and your spouse care about one another. 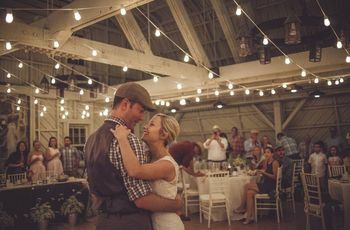 “When You Wish Upon a Star” is a classic song from Disney’s Pinocchio and is a great choice for your first dance. With a slow tempo and uplifting lyrics, this tune will definitely have your guests believing that wishes can really come true.